BkMk Press of the University of Missouri-Kans, 9781886157590, 264pp. Fiction. DREAM LIVES OF BUTTERFLIES is about the discrepancy between the haves and the have-nots at the end of twentieth century in America, a time of stock-market boom and working-class bust. Colbert's characters are mostly in the latter camp. 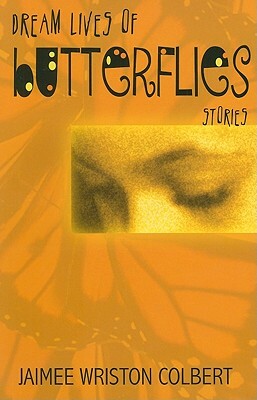 Set mostly in a St. Louis apartment complex, with connecting stories in Illinois and Hawai'i, DREAM LIVES OF BUTTERFLIES explores psychic damage and the flesh in conflict with the spirit. "Jaimee Wriston Colbert's new episodic novel-in-stories is a jewel in both its form and its feeling," writes Madison Smartt Bell. "DREAM LIVES OF BUTTERFLIES is full of startling wisdom and high-flown humor," writes Diana Abu-Jaber. Colbert, who was born and raised in Hawai'i, now lives in New York State.